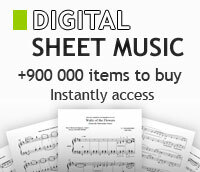 Charles Ives - Medium voice, Piano - sheet music books scores (buy online). Duty-Vita-1,2,3-Luck and Work. By Charles Ives. Text: Charles Ives; Manlius; Ralph Waldo Emerson. For Medium Voice, Piano. Classical. Piano/Vocal Score. 4 pages. Published by Theodore Presser Company. For Medium Voice and Piano. By Charles Ives. For Medium Voice, Piano. Classical. Piano/Vocal Score. 5 pages. Published by Theodore Presser Company. By Charles Ives. Arranged by Henry Cowell. For medium voice, piano. Published by Theodore Presser Company.